Okay, the degree of difficulty is off the charts for this one. This is a man who agonized over politics and the English language. Who loved England and democracy but spent his life fighting against oppression and tyranny and the dangers of lazy thinking. Laughing? 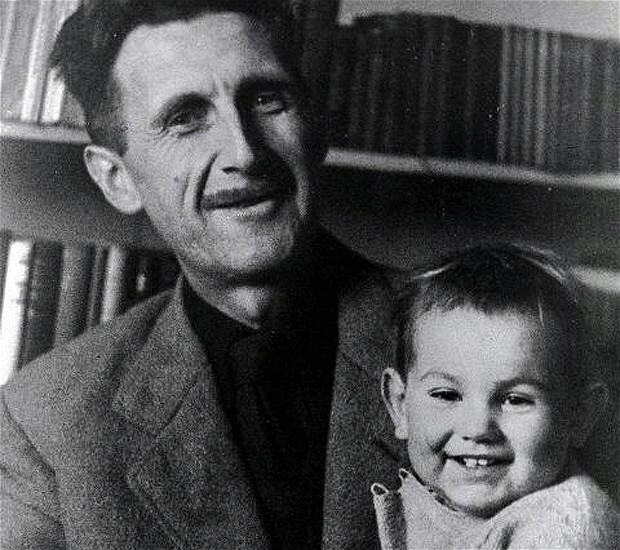 George Orwell was shot in the throat while fighting in the Spanish Civil War. Come on, Jacke. You really think you can find a picture of him laughing? Wait…you don’t believe me? You think that’s just a smile? What are you accusing me of, reader? You think I’m trying to sneak one past you? Reader, we have a good thing going! Don’t you trust me? Look at that baby’s face! 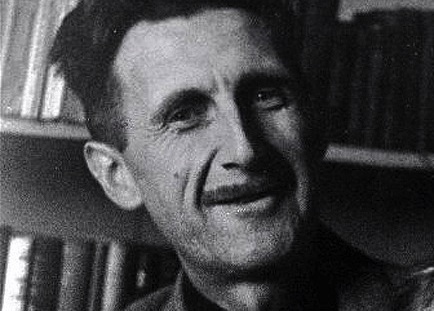 Look again at Orwell and tell me he’s not laughing. No, really. Look back and forth several times. Baby to George to baby to George to baby to George. I swear I can see the laughter! 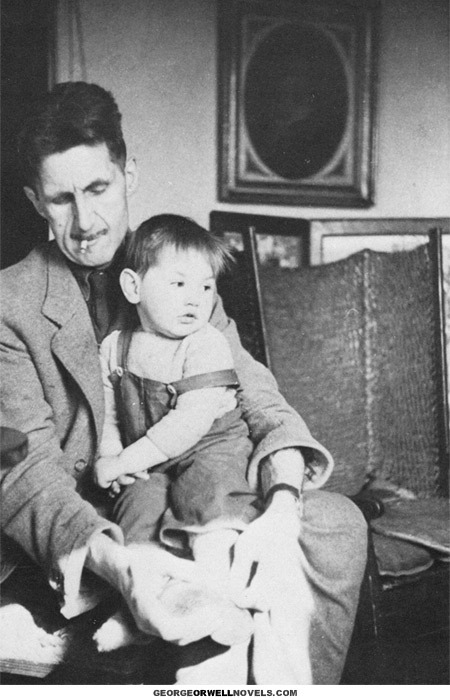 That’s George Orwell tying his son’s shoes. Fantastic. Kind of like Scott and Zelda laughing with Scottie or Leo Tolstoy drinking from the little glass. Caught in a natural moment. Life is good, people, life is good. Next > “Another Well-Written Novella”: Five Stars for The Promotion! I love this one, Jacke. Love the way you set it up. In fact, I love this whole series. Nice pics Jacke! Are you sure that’s not Sean Penn though..
Nice pics Jacke! Are you sure that’s not Sean Penn though? Thanks, Joan! I’m glad you’re enjoying them. Well done and great picture! Well it gives you a different sense of Orwell and that has to be a good thing doesn’t it. I say doesn’t it. Well I thought so ! 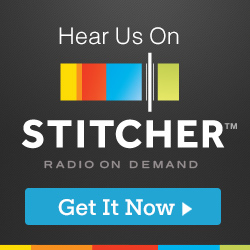 Life IS good, Jacke, and this wonderful series keeps that truth front and center. I wonder if those pictures were taken around 1984?? Of course, 1984 would be a miracle, since he died in 1950–but with guys like that, who knows? Thank you for that Jacke, a bit of brightness is always welcome. Writers laughing may well be one of my new favourite things! Brilliant stuff and certainly put a smile on my face.